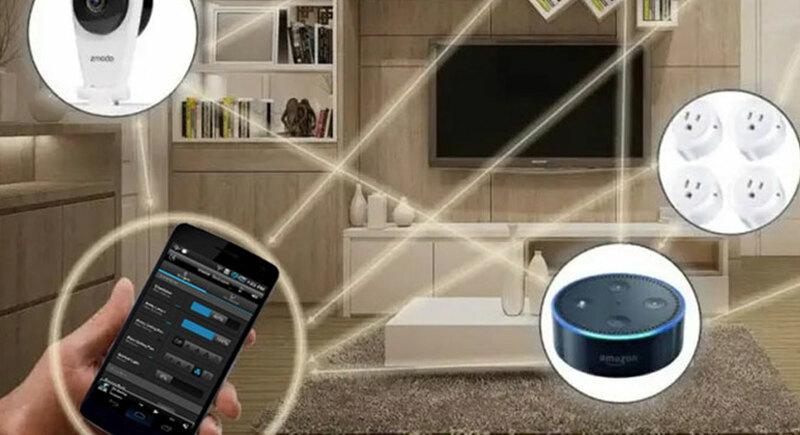 One remote that will control the entire house. Treat yourself to an easy way of living! Its all just one button away. Your house your budget your theater. 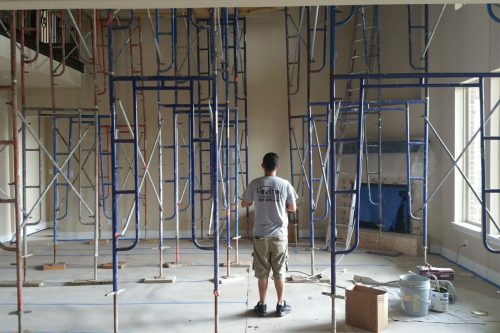 We will build you a theater you will love and we will stay within your budget. 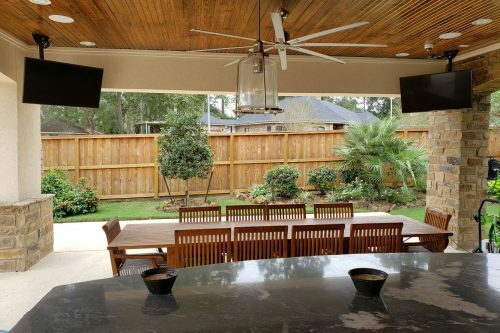 We can take your house from cool to amazing with automated lighting. Every mood, activity and situation should have its own lighting scene. As the sun goes down on your side of town so do your shades, they keep the sun out while allowing the light in. 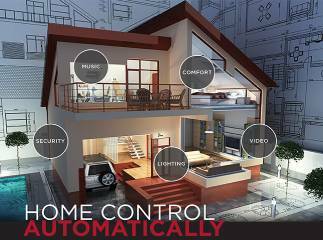 We are experts in home automation system specializing in the supply and installation of all major brands. Our business was started in 1998, so we have the experience to know what will work for your particular situation. 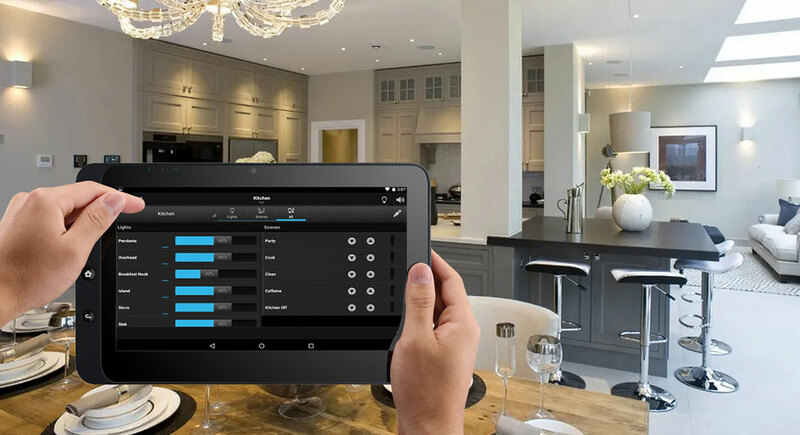 A lot has changed with the technology available for home automation since 1998, and by keeping ourselves up to date with all the changes along the way, we are able to provide cutting-edge systems that work exactly as you want them to. 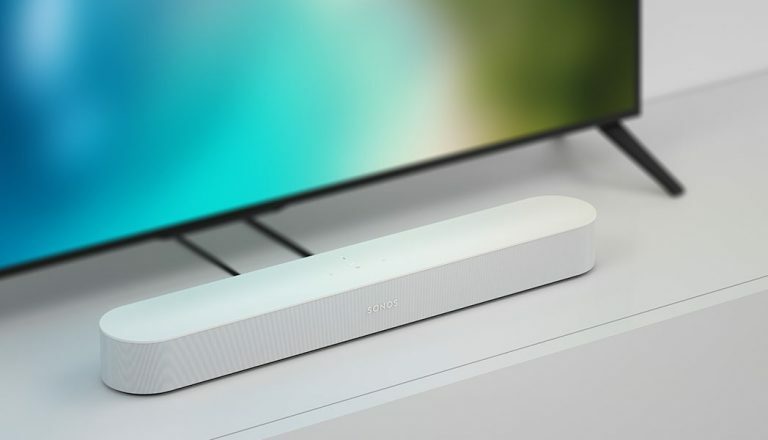 Harnessing the power of high-speed internet connections, voice recognition, and simple controls that do just what you want, you can experience the future of everyday life right now. 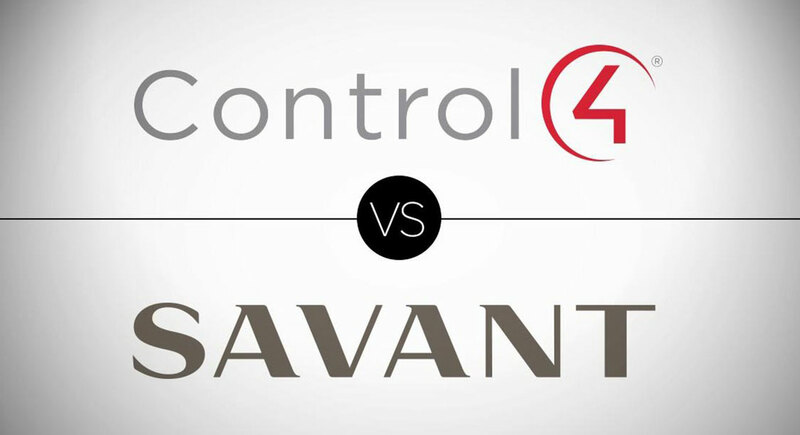 We are authorized Control4, Savant, and Lutron dealers, and we will take care of everything you need to move your home to the next level. 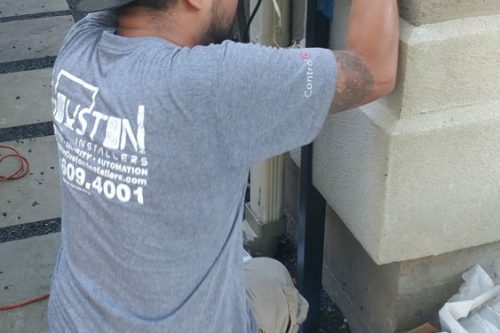 We offer TV and Home Theater installation services, along with systems for automated lighting and shades, distributed audio systems, and home networking. 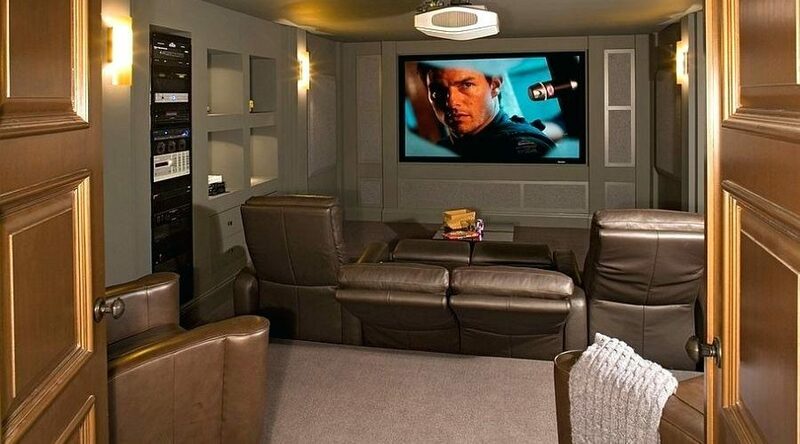 Who wouldn’t want a theater in their home? 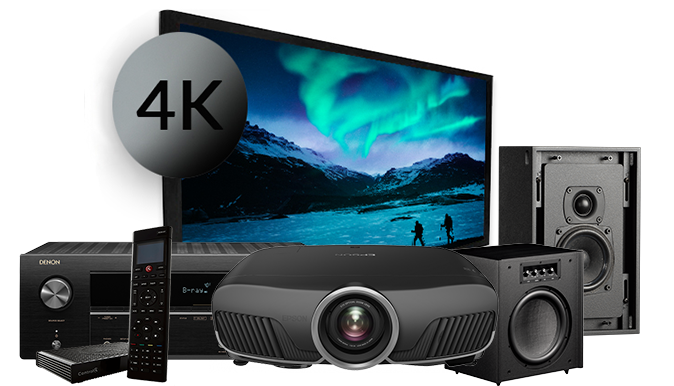 While the overall effect and entertainment value is immense, home theater installation can be fraught with difficulties. 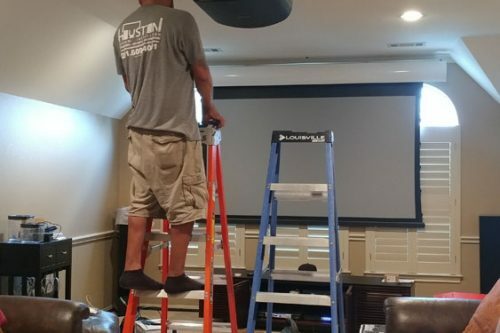 A large screen (either a TV or a projection screen) that needs to be installed safely and positioned so it is straight and level, potentially a projector that needs attaching to a ceiling and also must be level, an assortment of speakers scattered around the room – and so many cables and connectors to get it all to work together. 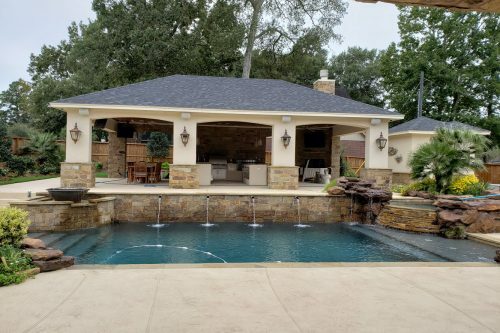 Anyone who has ever held a party has understood how a whole house audio system could be of benefit, but having the option to use your media in any room in your home presents other advantages that aren’t just party-related. 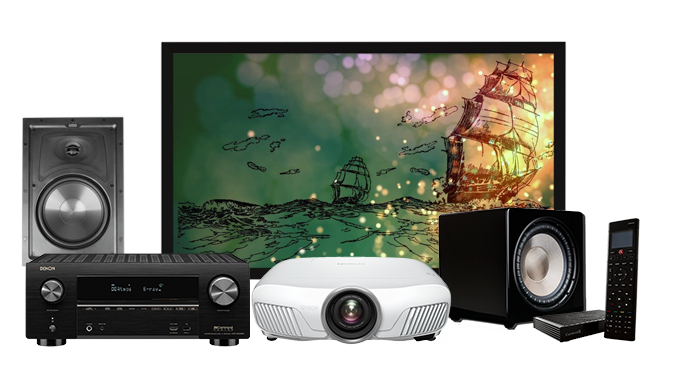 Getting a new TV can be a big decision, but installing it can be an even bigger one. Where will it fit? 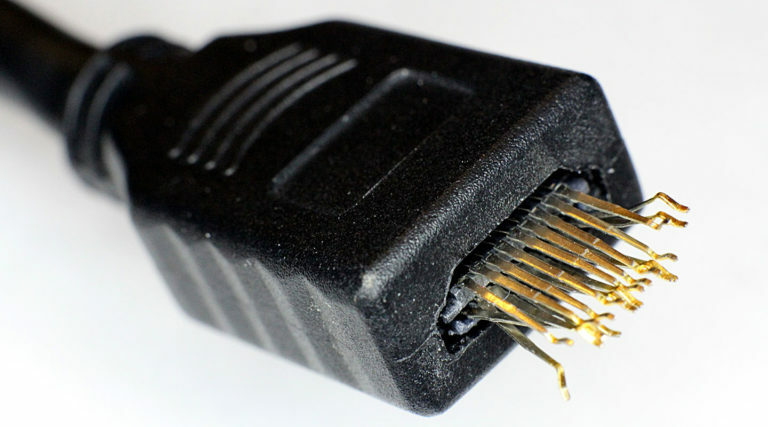 How does it get connected? 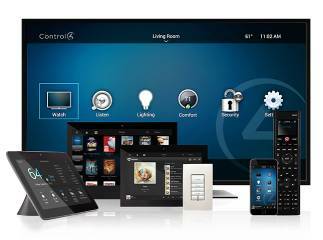 Can a TV become part of a home automation project? 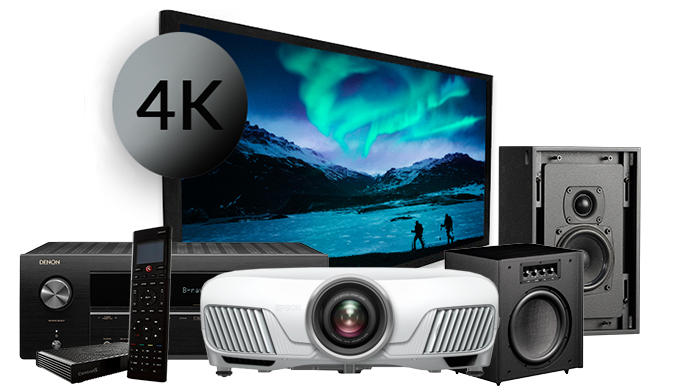 We are experts in TV installation, able to answer all your queries with the benefit of many years of experience. 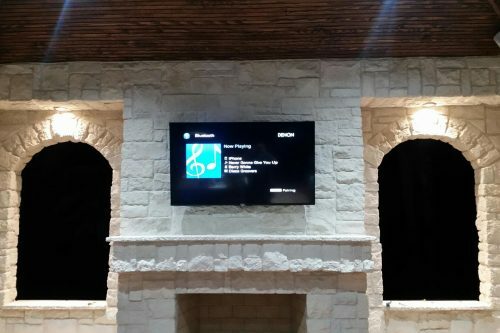 If your TV is freestanding or you need your TV mounting on a wall, we can help. 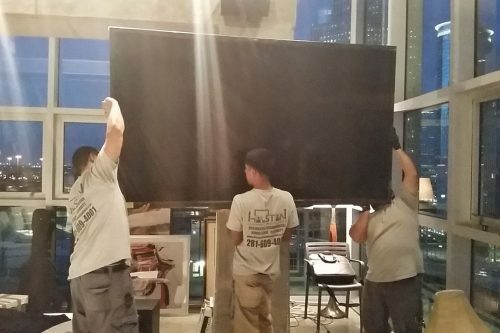 Television mounting needs to be done with care and precision. 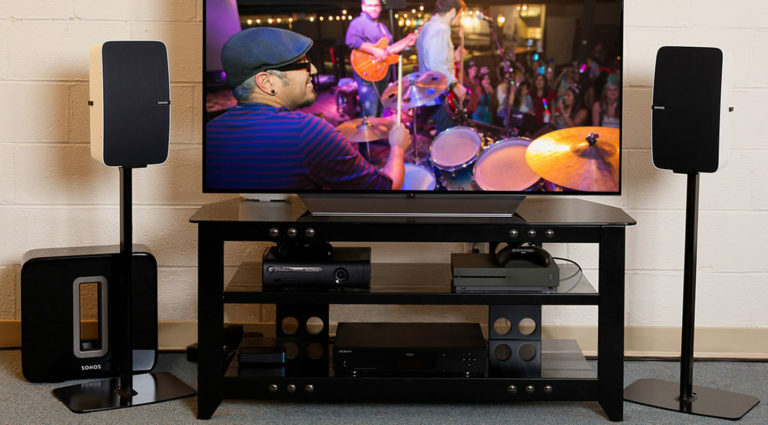 If the wrong shape, size, or style of mounting is used, the TV will not be firmly attached to the wall and could fall and break…..
There’s always that one tricky spot where your cell phone signal drops out and you can’t make or receive calls. No matter how you position yourself or which way you face, it’s always the same problem. 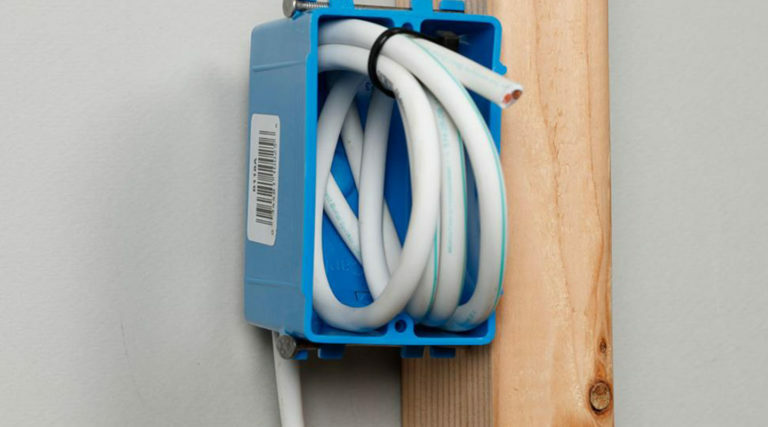 Cell phone signal boosters take an existing cell phone signals and amplify them, providing better connectivity for any cell phone in the area. 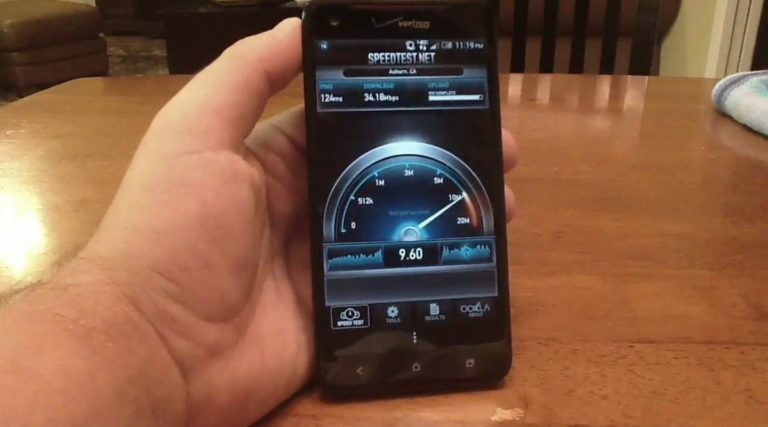 This will let you use your device in locations where you were previously unable to obtain a signal. Lots of decisions to be made. However, these decisions are typically not high on the priority list of a new home owner during the early stages of building a home. 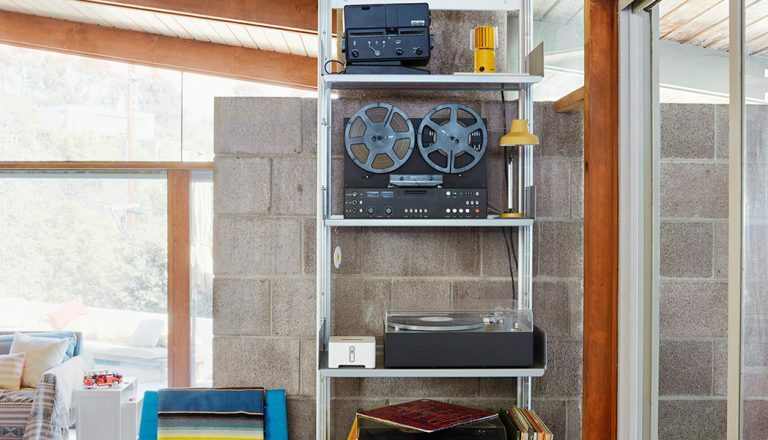 Thinking about the modern conveniences of home electronics is sometimes put off until it is too late or at the very least much more costly. 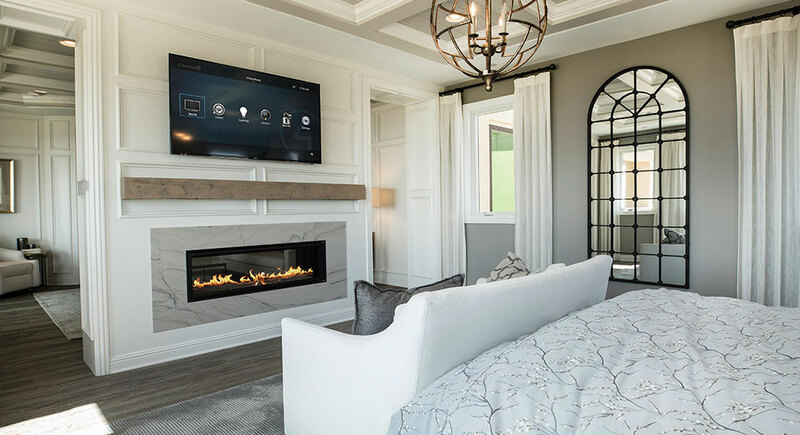 If you examine a few of your preferences before the drywall goes up, your electronic “after life” can be a lot more fulfilling. 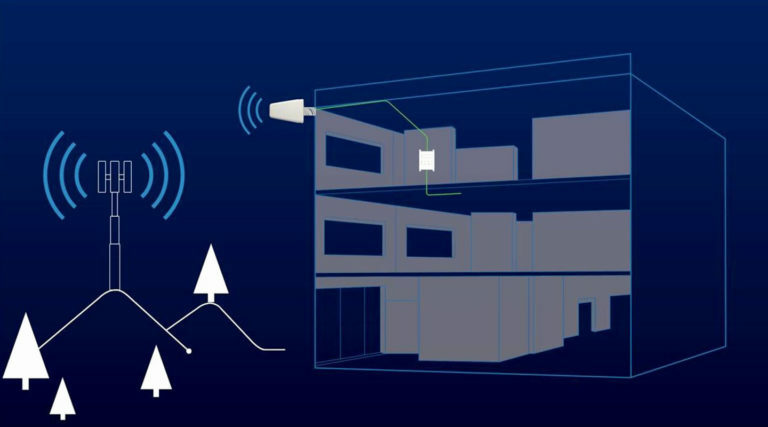 As with any device, the more component parts involved, the greater chance of something going wrong…. 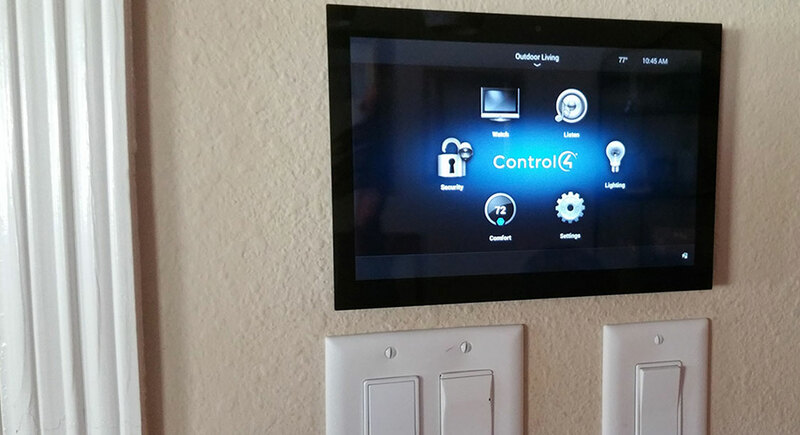 Home automation can be seen at many levels. 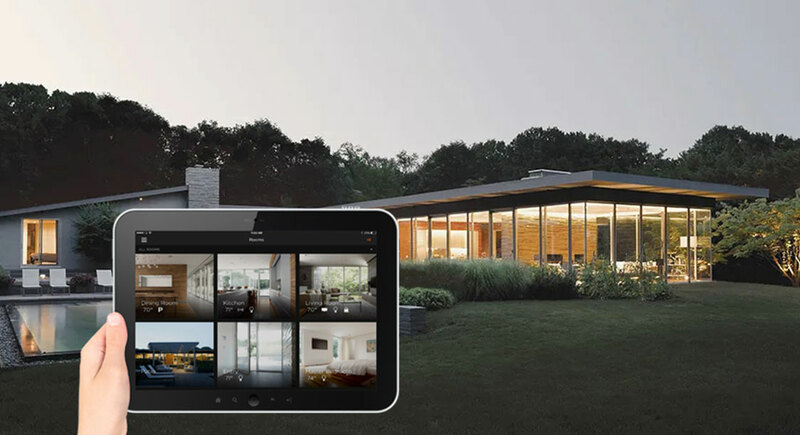 Anything with a timer or a sensor (for example, a thermostat on a heating system) could be considered a form of home automation. 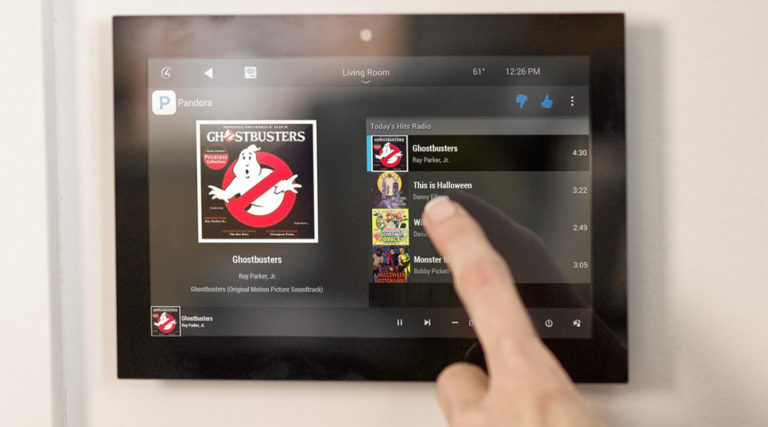 But in the 21st century, home automation tends more towards the concept of a smart home. 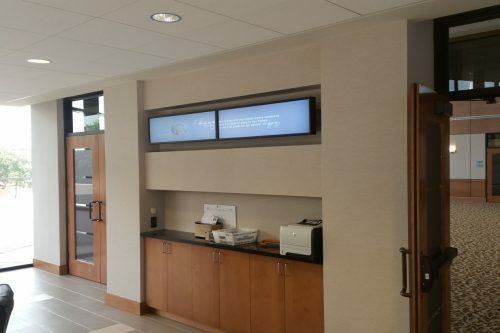 This includes concepts such as being able to remotely set the temperature of individual rooms, speaking out loud to tell the lights to turn on, playing music around the entire building in perfect synchronization, greeting visitors via an intercom from anywhere, closing the shades without moving from your seat, and so on. 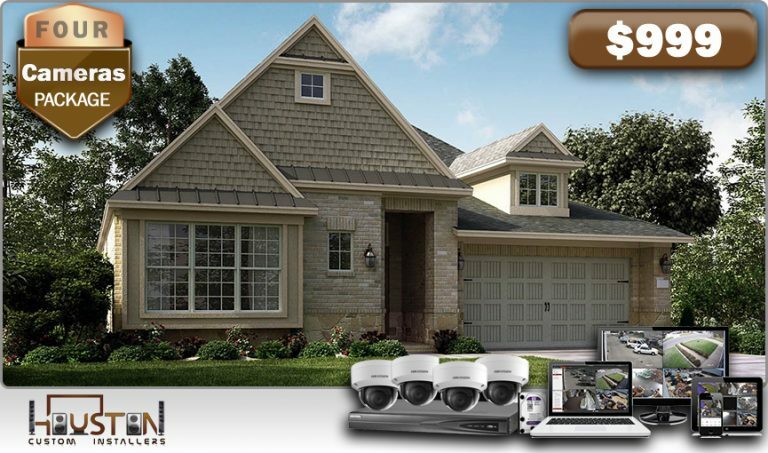 With advances in technology and home automation systems, its never been easier to keep your home safe and secure. 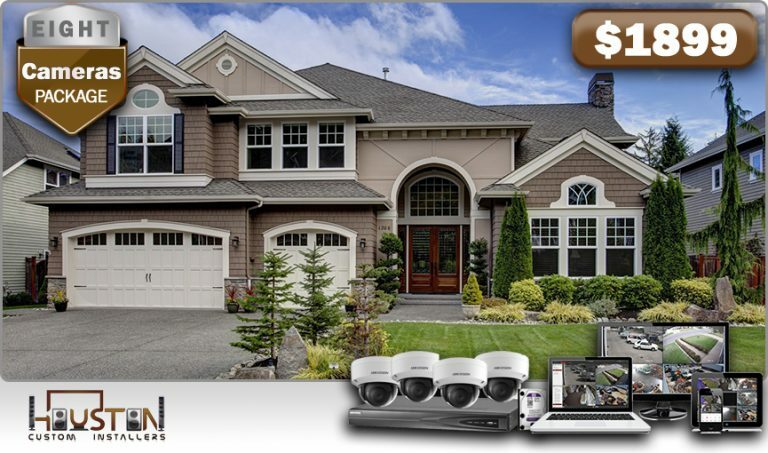 We can install a home alarm system with surveillance cameras for you that integrates with a complete smart home system. 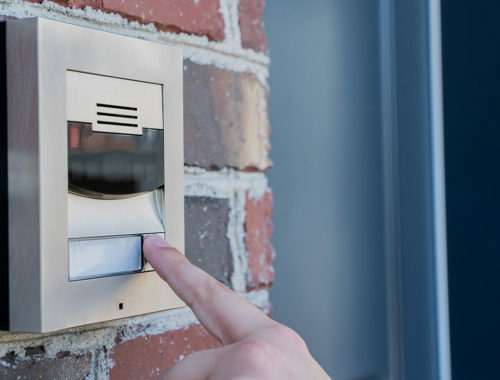 You will be able to see is at your front door – even when you aren’t home! 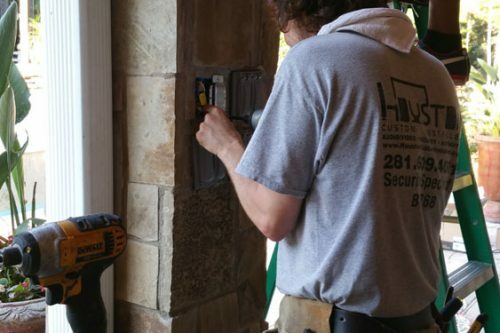 We can enhance the security of your home by installing home alarm systems, surveillance cameras, automated door locks, automated garage door openers, and whole home video intercom systems. 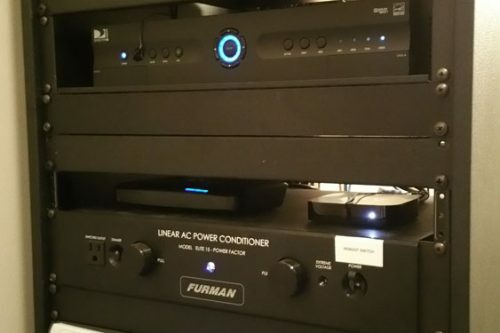 We also pride ourselves the post installation repairs & maintenance service to keep your home automation and audio/visual equipment at the standard you desire. 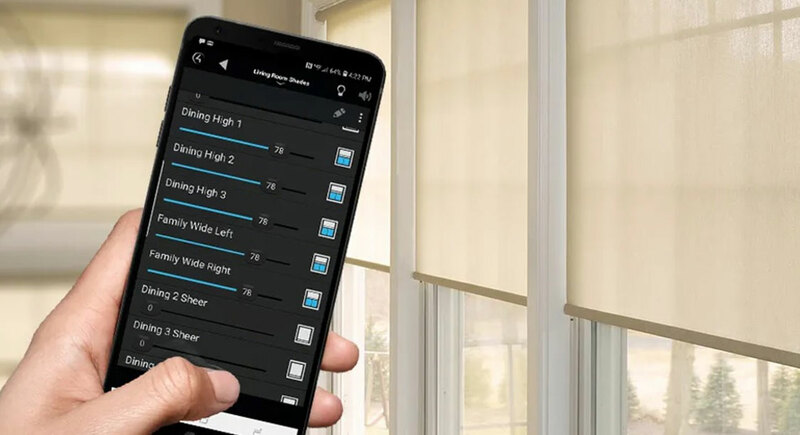 If you already have a “smart home” or are just looking to get started, we are more than happy to help you begin or continue your journey towards home automation. 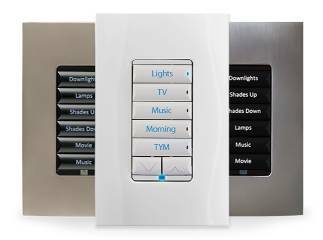 Get in touch today to discuss your home automation requirements. 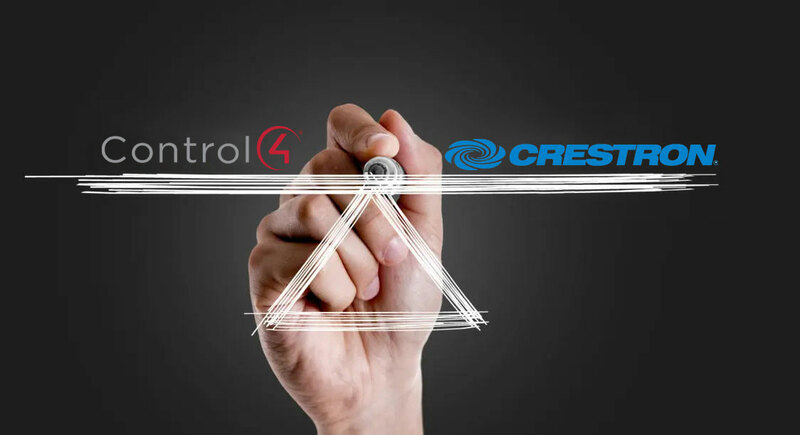 We’re ready to automate your life! 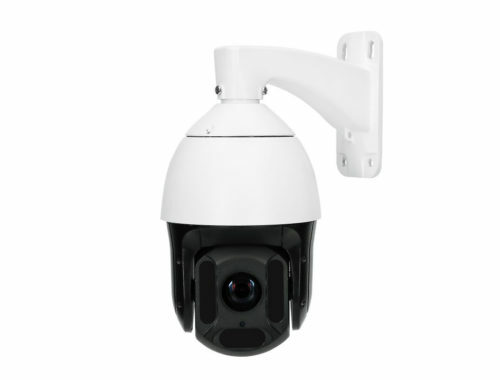 You might think that all security cameras are the same, but there are significant differences in the technology behind them. 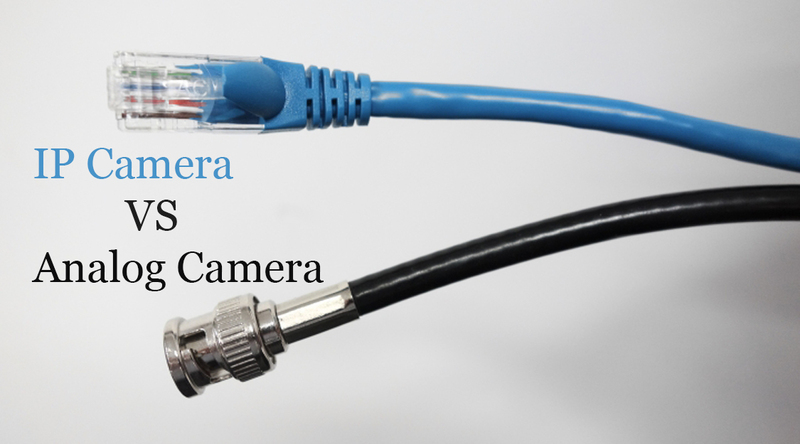 Broadly, there are two main types of security camera available today – analog and IP. 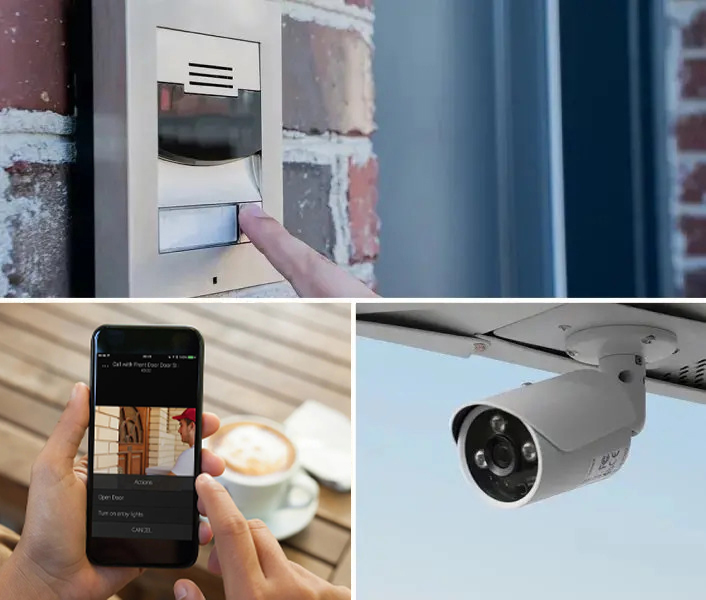 With crime figures increasing all the time, it seems like a major reason to install a security camera is to protect your own home and property. 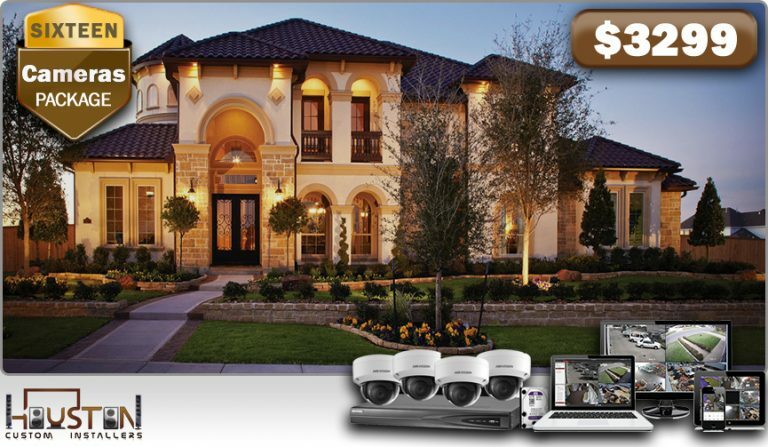 Installing a security camera can increase your peace of mind, letting you know your home is always under a watchful eye. 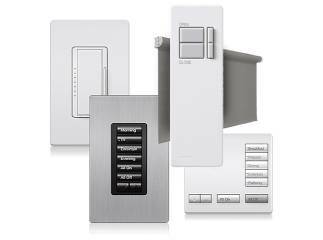 Access control is simply a way of controlling who has access to your building or home. 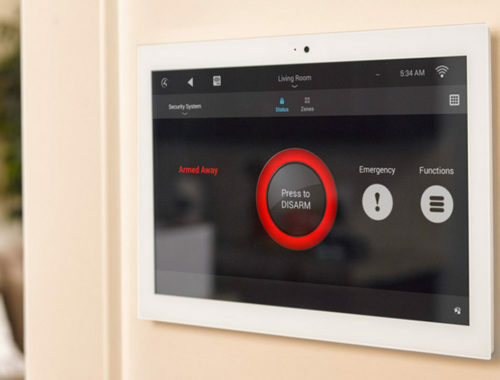 In a smart home environment, access control can even be configured down to access to individual rooms, and is used to improve both safety and security. These guys are honest and reliable! These guys are great. Have used them several times in the past. 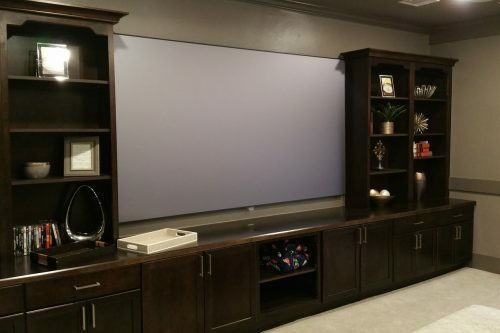 Recently moved to Cypress and they did my media room. Amazing service. Had a problem 6 months later, had someone there to fix it within a couple of hours. Great service. HCI is awesome. 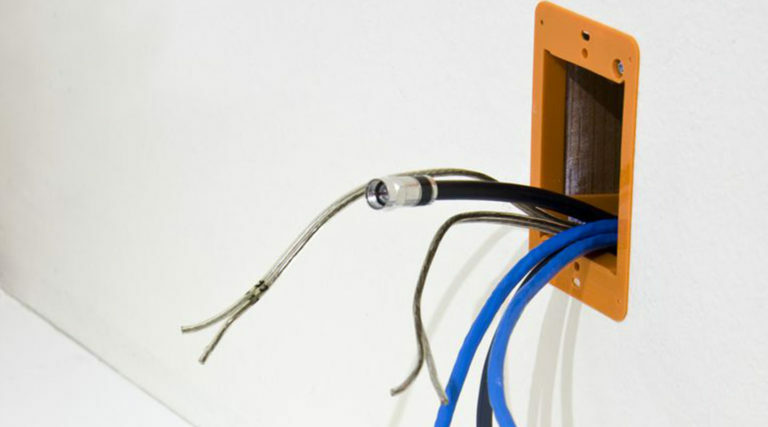 The technicians are very well trained and very professional. Every step of the way they worked with us to develop the perfect package of audio/visual. 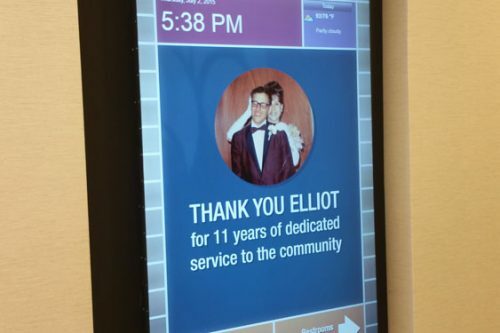 We could not be happier with the service provided. Have used these guys numerous times. Not only are they superb, but their eye for detail and immaculate workmanship continually exceeds my expectations. 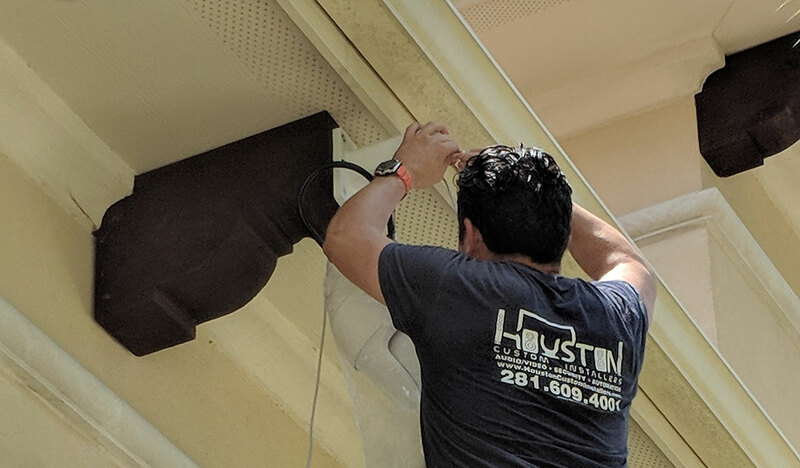 I called Houston Custom Installers to install home theater speakers and set up my home theater system in a home that was already prewired by the builder for home theater.